Our Beyond the Classroom project is seeking volunteers that are interested in developing academic level research skills by supporting a social research project. This opportunity is an ongoing commitment of a flexible nature. To support research undertaken by the Peak District National Park Authority with the aims of deepening understanding of important elements such as visitor use of the National Park; impacts of engagement measures for visitors and people’s perceptions about a range of issues. This role would suit an individual within an academic setting seeking experience in the field of research. Note: As individual research projects arise you will be notified and can opt in to support that project as a research volunteer. It is likely that much of the responsibilities for this role could be undertaken remotely without the need for travel to different locations. It might be necessary to meet with project leaders on occasion at a pre-arranged location convenient to the volunteer. Specific project lead would be identified for each research activity. This is very flexible due to the nature of the role and would be specified in the activity description for the individual research project. Volunteers would ideally be able to commit to a long-standing involvement in the project (1+ years). You will have undertaken the training appropriate to the role. You will receive continuous training, including relevant health and safety training. Induction and support from the relevant supervisor. Regular information and briefings where appropriate. A yearly informal review with the relevant supervisor. You will have access to online training modules designed to support professionals working for South West Peak Landscape Partnership and the Peak District National Park Authority. Mileage costs @ 45p per mile cars (24p/mile motorbikes, 20p/mile pedal cycles) up to a maximum of £15 per journey. Bus and train tickets up to a maximum of £15 will be reimbursed only upon receipt of ticket/proof of purchase. Please note that if you use your own vehicle whilst driving on the Authorities behalf, you will need to have business insurance and MOT evidence. 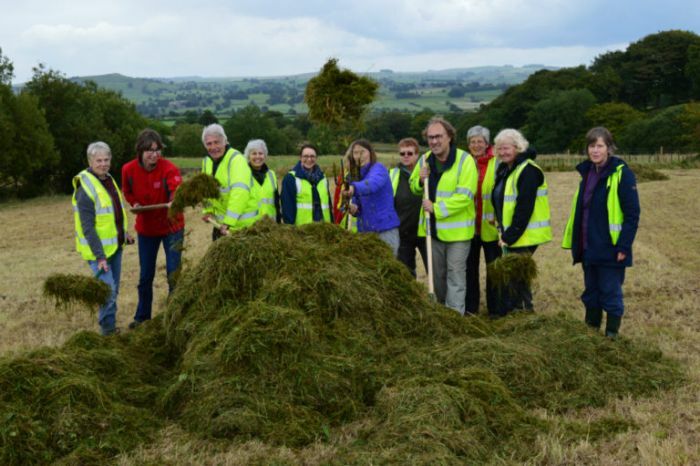 Access to a wider range of volunteering opportunities within the National Park Authority.